The Sanggunian Panlalawigan of Davao del Norte for the 2010-2013 term ended their session Monday afternoon, well patted on the back by a record of accomplishing unprecedented performance since the birth of the province in 1967. Their last session was timely as the province in the morning kicked off its celebratory activities for the 46th founding anniversary on July 1. SP secretary Dennis Dean Castillo in his summary report informed the body that the SP’s “unprecedented performance since 1967” came from their collective accomplishments in three functions of the SP as legislative body, quasi-judicial body and oversight body. He particularly noted that in adopting in its entirety the Executive Plan of Governor Rodolfo del Rosario to the Executive-Legislative Agenda (ELA) 2010-2013, the outgoing SP made a history when through legislations it accomplished 95 percent the provisions of the ELA, and 98 percent of its own legislative agenda. “This is also the first SP incumbency to enact an expanded legislative agenda because of its early accomplishment of the main legislative agenda,” Castillo said. “In mobilizing all standing committees, it resulted to 17-percent increase of legislative approval as compared to the previous 2007-2010 term,” he said. “There was no adjournment made due to lack of quorum,” he added. 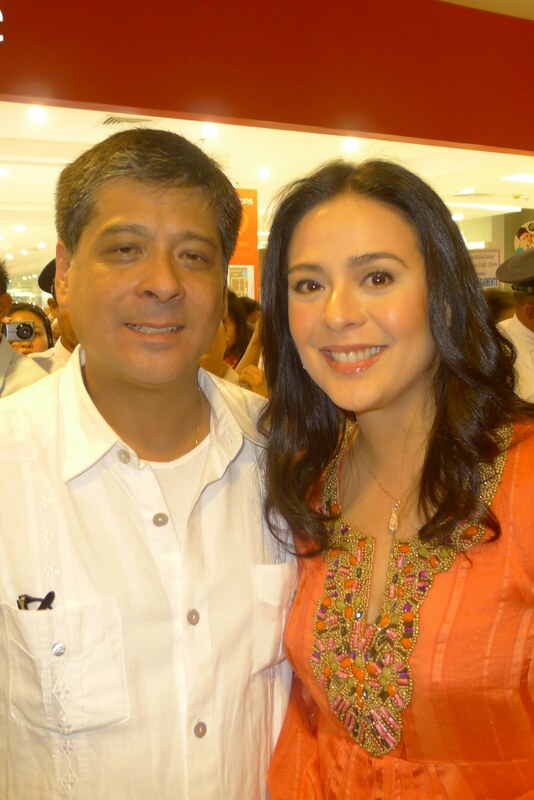 The SP was also cited for the approval of the Gender and Development Code, Environment Code and the Housing Code as required by the national government, and making due legislative spadework for the Investment Incentive Code, Public Safety and Security Code, Tourism Code, Health and Sanitation Code and the Omnibus Scholarship Program. For providing quality legislations, the SP earned a Very Satisfactory-Plus grade by the Dept. of Interior and Local Government. The SP is also the first to receive an Excellent Legislative Award given by the governor in 2012. Also cited on the outgoing SP were the restructuring of the staffing pattern of the legislative department, professionalism in the ranks of SP employees, knowledgeable backstopping, research and liasoning, approval of the establishment of Davao del Norte Learning Institute, well-crafted and researched legislations and transparency. “Though members came from different political affiliations, the SP decided as one in legislating the Governor’s PEOPLE platform of governance, ELA, Development and Investment Plan and others,” Castillo wrapped up his report. Panabo City Jose Silvosa Sr described the new, state-of-the-art Davao International Container Terminal (DICT) in the city’s sealane as “economic magnet that attracts investments” in the city. He said that the modern wharf owned by a firm from banana giant Tadeco will certainly encourage investors to locate their investments in Panabo City. He added that his city is very much prepared to host investments even as he bared to wrap up major infrastructure projects during his last term as identified in the long-term city development plan. “These are geared towards fueling more economic activities in the city and certainly Tadeco’s container port facility is such as big boost, the mayor said. The P2.7-billion wharf has an orderly ingress and egress that can result to faster turnaround time of delivery trucks, reliable plug-in facilities for reefer cargo, and a capacity to accommodate larger vessels due to its deep draft. It boasts of a world-class quality. Particularly, the entire facility can cater up to 300 container vans, the only container terminal in Mindanao which can cater to such number of container vans simultaneously. DICT is owned and managed by San Vicente Terminal Brokerage Services, Inc., a member of the ANFLOCOR Group of Companies. Meanwhile. Bureau of Customs OIC district collector lawyer Edward James Dy Buco bared that the Tadeco’s port facility can greatly ease vessel traffic and congestion in Davao City’s ports at Sasa and Tibungco. He said that because the Davao City’s ports lack berthing facilities vis-a-vis the present high volume of import and export cargoes, the DICT “complements our operations” and can ease vessel traffic by 20 percent if it is fully operational. This week is the final week before the changing of guards in our munisipyos, city halls and kapitolyos. That’s for those ending their terms and for the losing incumbents in the last polls. They and their Tam Junes (Taman na lang sa June) have this final week to pack up and get lost by Friday, June 28 for the next Monday, July 1, the new ones will assume office. Those top honchos, the ultimate decision makers to whom the buck stop right on their noses- the mayors and governors who get reelected, they get fresh mandates and retain their posts. This week the new ones especially the thousands of JOs (job order personnel) are eager beavers. They are counting their fingers for the last remaining days before they get finally employed. JOs, after all, are the most politically employed in the government. JO plantillas are for the campaigners and the protégés of those moneyed who have helped the boss got elected. In a kapitolyo, JOs number by thousands, 2,000 to more than 3,000, in big city halls by over 2,000, in billionaire LGUs, by some 5,000. JOs have no employer, as there’s no employer-employee relationship in their nature of employment. They get employed by the contract of service, and their services are renewable every month or every two or 3 months, depending on the contract and the nature of service that the government want them to render to. But usually political JOs last, coterminous to the term of the boss. JOs get their about P300 per day wages or so after their vouchers are completed, usually after a month depending on how fast their errands do the paperworks and for the signing of the voucher by all concerned in the LGU’s bureaucracy. There’s no 15-30 salary and allowances for them. Their bonus is at the mercy of the COA circular and LGU budget realities even if their boss wants it maximized. But anyway, the Tam Junes have their work, only that it is based on their continuing political loyalty to the boss. I learned of many JOs not being renewed of their contracts because they talked to and mingled with the political enemies of the boss midway during their employment. During campaign seasons, JOs turn so political and they should actively campaign for the boss in their respective villages, while many of them, the trusted, entertainer and leader types, are deployed openly to campaign tasks despite the Comelec and COA prohibitions. JOs just don’t have to covet their boss and they can handily have their job last for full 3 to 9 years depending on the mandate given by their ultimate boss, the people. Now, for this week, it’s goodbye to the old Tam Junes, and welcome, the new Tam Junes! Davao del Norte Rep. Antonio Floirendo Lagdameo Jr (2nd district) took oath Tuesday morning for his third and last term on the occasion of the 45th founding anniversary of Carmen town. In his speech after his oath-taking before a huge crowd of officials and populace at the municipal gym, he thanked them for the new mandate they gave him, saying he chose performance and services that he preferred to be enshrined in the landscape of his district without much publicity. He also lauded town officials and the people for making Carmen progressive and for pole-vaulting it as a first class municipality during the terms of reelected Mayor Marcelino Perandos. Lagdameo also bared that because Carmen is centrally located in his district he would be holding office in the town from his old and traditional base in nearby Panabo City. Mayor Perandos on the other hand expressed gratitude and jubilation for the great strides that his town has taken due to collective efforts of the past and present officials and the unity of people as well. june 12, 2013By Cha Monforte, Rural Urban NewsThe Sangguniang Panlalawigan of Davao del Norte has managed to have the two sets of board of directors and management officials of two conflicting electric cooperatives see eye to eye each other and answer issues during its regular session Monday. Presiding officer Vice Governor Victorio Suaybaguio Jr said during the session’s question hour that all the legislative department and Governor Rodolfo del Rosario wanted was to know the real situation of the Davao del Norte Electric Cooperative (Daneco) and find solution to the problem for the good of the member-consumers in Davao del Norte and Compostela Valley. Daneco has been wracked with two factions, comparatively called now as Daneco- NEA (National Electrification Administration) and Daneco-CDA (Cooperative Development Authority) fighting it out in courts and in their separate operations and collection activities for legitimacy and dominance for more than a year now. “We are the one that is legal for being under the regulatory and disciplinary powers of NEA,” said Gregorio Ybanez, chairman of the board of directors of Daneco-NEA. He ruled out suggestions of several board members for a compromise and instead charged Daneco-CDA’s officials to account for the millions of collection they made and remit these to Daneco-NEA. He told SP members that Daneco-CDA should show their audited financial statements and should be liable for the acts they are continuing to make that create confusion to the people and exact huge damage to Daneco. Ybanez said that Daneco-CDA is not paying its power obligations and it is Daneco-NEA that has been paying power suppliers which include PSALM, NGCP and Therma Marine. Also, Daneco-NEA OIC general manager Benedicto Ongking informed officials in session that as of June 2013 their group was able to pay P437.93 million to the power generator PSALM but there is still a balance of the total payable amounting to P271.92 million. From October 2012 to June 2013, Daneco as a whole had a total payable to PSALM amounting to P293.39 million, which was already restructured by PSALM to P274.99 with an interest of P18.4 million payable in three years, Ongking said. “We can still pay power suppliers but not on due date, and (for this) we are incurring interest,” he said. Ongking said that before the crisis came up Daneco used to have 95 percent collection efficiency rating in 2012. But when the dispute with Daneco-CDA started, he added, the collection efficiency rating was down to 51 percent and further sank down to 42 percent in the succeeding months after typhoon Pablo, he said. He bared that on the whole Daneco is saddled with P7.93 billion on total loans and obligations to power suppliers and various credit lines being amortized in various terms, about P5.5 billion of which is from PSALM. “The financial requirement for these obligations stood at P209.98 million per month but our average cash collection was only P154.37 million, thus a deficit of P55.6 million, from August 2012 to November 2012,” he said. 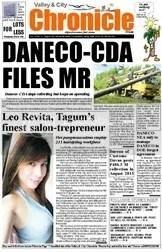 Ybanez said that runaway interests that mount Daneco’s debt can be still be met head on if Daneco-CDA dissolves itself. On the other hand, Abenir Labja, chairman of the board of directors of Daneco-CDA, told SP members that they would continue operating and asked Daneco-NEA officials for unity and reconciliation. Asked by Board Member Shirley Aala if Daneco-CDA has been paying power supply obligations, he said that records showed that they paid P34.10 million to NGCP, a State-controlled firm in charge in the business of power grid and transmission. He said the bulk of the balance of the collections “are still in the hands of the power consumers” treating those collected by Daneco-NEA as still receivables. He said Daneco-CDA’s legality came up with the May 2012 referenda where member-consumers voted for a conversion of stock cooperative under CDA. He said that the legality is given a boost when CDA lifted the temporary suspension of their CDA’s registration last May 31, 2013. But Daneco-NEA legal counsel Jeorge Rapista said that the lifting is not yet final and executory as Daneco-NEA submitted its motion for reconsideration to CDA last week. He said that the Writ of Preliminary Injunction issued by the Court of Appeals from which the CDA Commission en banc based its earlier decision to suspend Daneco-CDA’s registration “is still valid, effective and existing”. The session ended up only with pleas from several board members for the two parties to mend ways and resolve, but no agreement nor consensus between the two parties was reached. Earlier, Engr. Godofredo Guya, NEA project supervisor to Daneco-NEA, expressed apprehension that the “problem of having two factions claiming for legitimacy” might put Daneco in a further mess. He feared that power suppliers might cut off power supplies to Daneco as a whole and bring blackouts to the two provinces if increasing payables to power supply obligations would not be arrested. He said that already the NGCP had sent a disconnection notice to Daneco last month. Guya estimated the Daneco-CDA has eaten up about 35 percent in the power bill collections of the hitherto one Daneco entity. He said that both NEA and the Energy Regulatory Commission (ERC), that fixes electric rates, only recognized Daneco-NEA and not Daneco-CDA. Labja said that Daneco-CDA now is employing more than 174 personnel, fourteen of whom are regular employees who opted to stick it out with Daneco-CDA after it separated in July 2012. The faction hired some 160 job-order (JO) personnel. Transactions were still going on past 5 P.M., with several persons in folders in tow riding on taxis or their own vehicles arriving either entering the BOC-Davao gate or parking to unload passengers just infront it. “Giwala na man ang mga haosiao kagahapon (The haosiaos were got rid of yesterday),” she added. Haosioas are usually the importers errands, or those persons informally brokering or those hired by BOC personnel in the bata-bata system to do the facilitating and processing of papers for the speedy approval and undervaluing of shipment documents in exchange for grease money, said an informant who said he has been “legally” transacting with the BOC-Davao office for quite sometime now although he is not a licensed customs broker. “Maigo gyod mi anang memorandum ni Biazon, makulob among kaldero (We’ll surely be hit by Biazon’s memorandum. Our family will go hungry),” he added, speaking on the condition of anonymity. BOC-Davao OIC district collector lawyer Edward James Dy Buco said in an interview afternoon Friday said that the haosiao problem in his port is “minimal” compared to the port in Manila. “However, we’re on the process of eliminating it and we double time to implement the Commissioner’s directive pursuant to the BOC Code of Conduct in the CMO-25-2010,” he said. He admitted that those informally brokering for shipments have helped BOC in the processing of requirements only that they were reported to have abused in asking money from importers. Meanwhile, Dy Buco reported that for the month of May 2013 the BOC-Port of Davao exceeded its target collection by 2 percent with its total cash collection of P506.19 million. Reports said that thousands of haosiaos swarmed in Manila port and about 300 haosiaos combined in the ports in Cebu and Davao. “For decades, the BOC is being hounded by non-organic, non-contractual personnel. Some of these held sensitive tasks in the bureau, but in fairness, many are doing clerical and utility tasks which the bureau failed to augment in decades. Definitely, this order will paralyze the operations of each office and unit in the bureau as haosiao personnel are the ones immersed on the tasks and not the regular employees,” said Rico Osmena, a long-time portwatcher, columnist of a weekly. “However, it’s time to get rid of many big-headed haosiao personnel who have enriched themselves by the use of authority given to them by the Customs officials. This order is seen a major reform of BOC particularly in cleansing it with corrupt officials and personnel, and eradicating smuggling. We’ll wait and see,” Osmena added. Tagum City Mayor-elect Allan Rellon vowed that under his incoming watch starting July 1 he would push for the junking of the controversial Real Property (RPT) ordinance, finish the still-unfinished new City Hall, allow the vans to pick up passengers and stamp out summary killings occurring in the city. “Dapat ibasura na na (that should be junked),” he said referring to City Ordinance City Ordinance No. 558, which had become a leading hot issue in the last polls for what critics said as charging too high tax rates which the city’s landowners cannot afford to pay to. The city council last January temporarily deferred its implementation reasoning on the need for relief due to the onslaught of typhoon Pablo, even while the measure was questioned by a landowners’ group at the Supreme Court. It is yet pending for SC’s resolution at press time. “The deferment is really awkward. We can’t really implement it. That should be archived. We will go back to, revisit the old (RPT ordinance), and if it is lacking, we will conduct real consultation with the people to know whether it is acceptable to the people, the consultation will be barangay-to-barangay,” Rellon said in an interview Wednesday. He said that he does not know yet the balance of the P230 million which was the last financial measure that the city council he presided approved to augment the funding of its construction. The loan was sought from Philippine National Bank with 20 percent of the city’s Internal Revenue Allotment made as loan collateral. The funding for its construction is already close to P700 million with the earlier loans of the first P200 million and then the next P250 million from the Development Bank of the Philippines. All the loans were contended to be still within the allowable debt servicing capacity of the city government. “From what is left, I’ll benchmark from there,” Rellon said. “It would take time. But I want to be transparent to the procedures on how we address it, of course, because the new city hall is funded by loans,” he added. 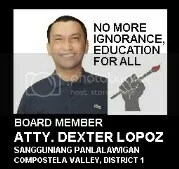 “Summary killings should be stopped,” the incoming mayor vowed. He said he would deploy all security and peace and order measures in place to get rid the menace which has been victimizing people out of bounds of law and for the city residents to have peace of mind and greater sense of security. He said that the rule of law and peace should reign in the city. He expressed apprehensions over recent violent incidents and dysfunctions following his election as a mayor that seemed to sow mayhem in the city. Local media recently reported on killing, kidnapping, holdup and stabbing incidents, the rise of rugby boys, besides that text messages are circulating that the banned bura-bura (noisy) single motorcycles are now ruling in the city’s streets. He said that people should know that much as he wants to but he cannot yet act on these as he is not yet officially the mayor. He added that those who want him fail want to sabotage his administration from the start. He said they better watch out when he will assume office starting July 1. He recalled that during the time of the mayorship of ex-Governor Gelacio Gementiza, there was one bay in the city’s integrated terminal allocated for the plying vans. Following the May 13 election, passenger vans have been seen picking up and unloading passengers along the national highway within the city without being flagged down, apprehended or pursued by trafficmen employed by the city government.